PD Fencing & Play Equipment Ltd.
PD Fencing & Play Equipment Ltd. is a family owned and run business specializing in high quality fencing and play equipment. We supply and erect all types of fencing including security, equine, agricultural and domestic. 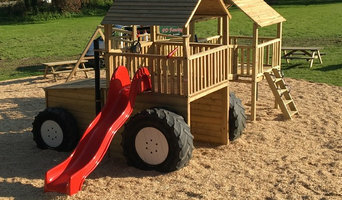 Our Play Equipment range is built to last and has something to suit all garden types. 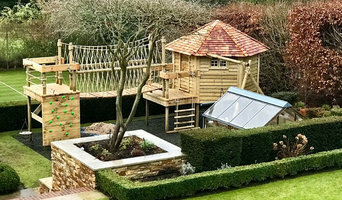 We specialize in bespoke climbing frames and playhouses. You will benefit from dedicated one-to-one sessions, creating a unique dynamic with your personal trainer and allowing you to focus on one thing - your results. We’ll conduct an initial physical analysis to establish a regime tailored explicitly for you, taking into account current fitness, potential, injuries limitations, and nutrition. A Personal Training Dublin program is all-encompassing. It should consist of strength and cardiovascular training, nutrition guidelines, accountability, measurements of progress, and sets shorter term goals to keep you motivated. Run away, don't walk, from any trainer who doesn't ask your goals up front and then outlines the system they will use to measure progression to those goals. Your chances of success are slim at best without a comprehensive program designed to lead you to your goals. We provide: Online training allows you to work out where you want on your schedule - body composition measurements - nutritional assessment - physical assessment - health medical history - fitness assessment Gain significant business benefits from our corporate fitness program •Enhance employees work-life balance •A tailored workout program Attract and recruit the best employees. •A tailored workout program Decrease employee turnover •A tailored workout program Improve staff productivity, morale, and motivation. It is time to give your thumbs a rest and get in the game! A backyard court is the ultimate outdoor play station! 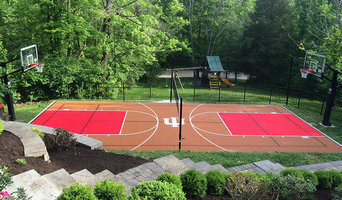 Seeing the joy and excitement from our customers when their backyard court is finished, is is a thrill. A backyard court gets family and friends outdoors, physically active, playing and laughing together. Creating memories that will last a lifetime. We are proud to be the Canadian distributor for SnapSports Athletic Surfaces. SnapSports is the industry leader and innovator in modular sports flooring! Manufacturing innovative products our competitors simply cannot offer. In addition our court surfaces, we also offer high-end basketball goals, multi-sport nets, containment netting, court lighting and just about anything else needed to finish off your court the way you want it. We are TOTAL Sport Solutions. Backyard courts are a big part of our business, however, for inside your home, we offer flooring for workout rooms, gyms, basketball courts, aerobic and pilate studios and even the world's #1 selling RaceDeck garage flooring. You will love your garage with RaceDeck flooring! We are Total Sport Solutions. Inside or outside, let us help you find the solution that best fits your needs and your budget! Come visit our Oakville showroom! Contact us to book an appointment. For a more grown-up play area, a tennis court, netball court, basketball court, or any other sports court, is a great way of utilising outdoor space to exercise, practice your hobby or start learning a new sport (in the privacy of your own home!). Tennis court construction doesn’t have to be as cumbersome as it sounds when you hire a sports court designer. They will handle all of the design, logistics and tennis court installation, liaising with you every step of the way, in order to put together your dream outdoor sports area. 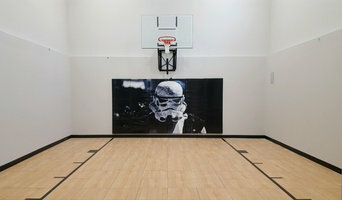 Why would you need to hire a sports court specialist? Tennis court installation can be very technical; there are many materials, measurements, specifications and technology to consider and it is not a project to take on lightly. The same goes for other sports courts such as netball and basketball courts, football pitches and golf courses, but by hiring a professional who is experienced in sports court construction, you’ll feel much more confident when building your outdoor sports area. Hiring a tennis court construction or other sports court specialist who has worked on similar projects to yours is always important, but with sports court builds it is especially essential as it means the professional will be familiar with national regulations, standards and rules for tennis court installations and other sports fields. If you want to give your children a place to play that rivals the local playground, then you can talk to playground designers and contractors who can provide you with playground equipment and will install a fantastic playground design catered to your children’s requirements and preferences. A playground designed by a professional will be safe but fun, and will usually outrival any shop-bought climbing frame or higgledy-piggledy DIY play area. Why should I use a professional to build my treehouse? What questions should I ask a sports court or outdoor play equipment designer? Narrow your search in the Professionals section of the website to sports courts or outdoor play equipment. You can also look through photos to find examples of tennis court constructions, playground designs, treehouses and climbing frames that you like, then contact the contractor who worked on them.